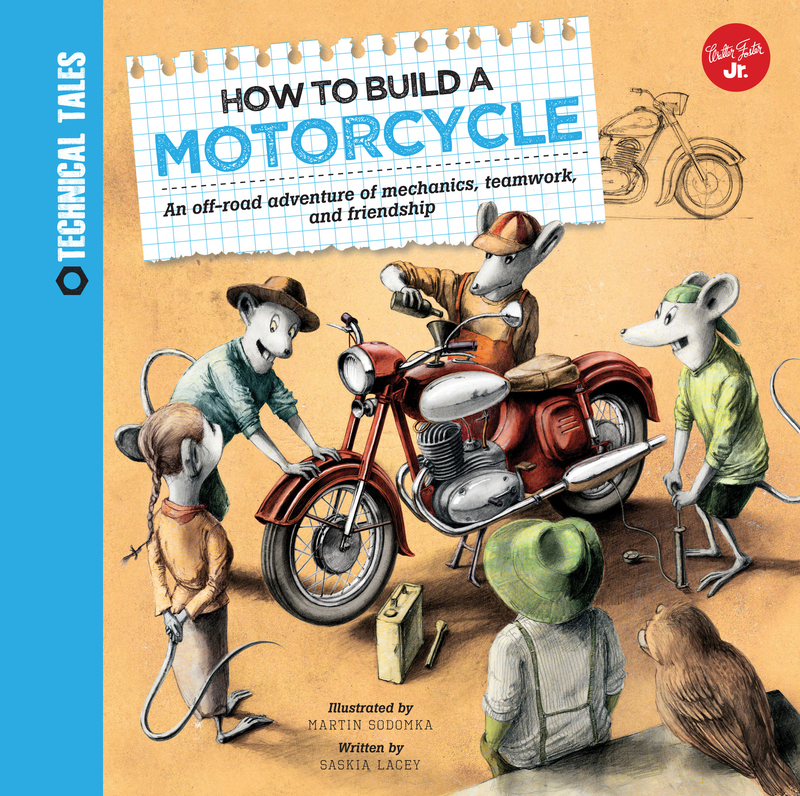 Three friends learn about mechanics and teamwork as they work together to build a miniature motorcycle. Eli, Phoebe, and Hank once again join forces to build another miniature vehicle--a motorcycle! 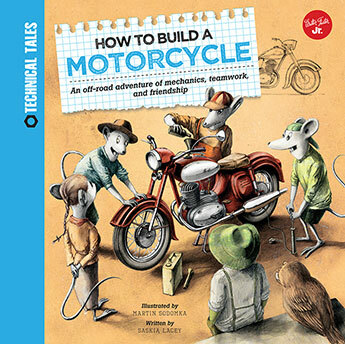 How to Build a Motorcycle continues the Technical Tales series, where a group of three unlikely friends--a rat, a sparrow, and a frog--come together to build another vehicle--a motorcycle! As they start working, they encounter many unexpected obstacles, teaching them (and the reader) about the different parts that make a motorcycle work. Detailed illustrations explain the overall functions of the engine, clutch, brakes, distributors, as well as many other parts of the motorcycle. Through hard work and perseverance, the three friends learn about mechanics and teamwork as they work together to build a miniature motorcycle.